FAQ - How can I change an application language? 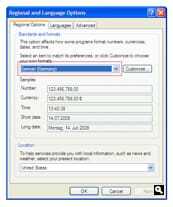 In both Windows XP and Windows Vista/8/10 you just have to select your language from the language pull-down menu, click on the Apply button, close the control panel and launch your application. 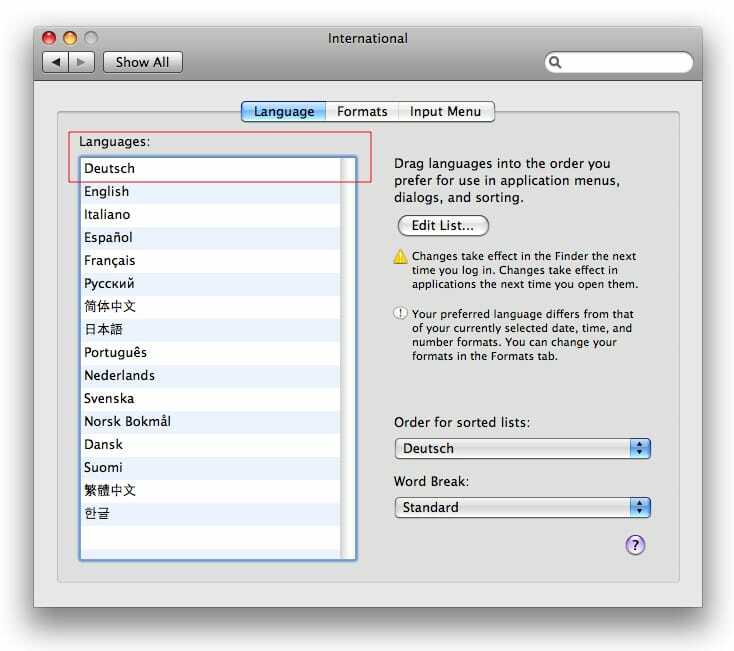 In macOS all the software uses the top-most language specified in your System Preferences (International pane, Language tab) as the user interface language. 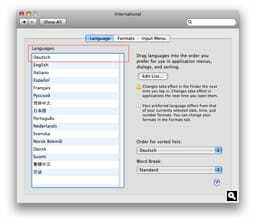 In order to use our software in your preferred language, simply set that language as the top-most language in the list in the Language tab of the International pane of the macOS System Preferences application, and then launch the software. Note that some languages and local variants do not appear in the Languages: list by default; you will have to press the "Edit…" button, check the desired language, and click "OK" before you will be able to move that language to the top of the list. 1 Go to C:\Program Files or C:\Program Files (x86) on Vista. 2 Locate and open the directory of the application you want to change the language of. 3 Open the 'Resources' or '[appname] Resources' directory. 5 Rename the resource folder of the language you want to use to the name of the resource folder of the system default language. 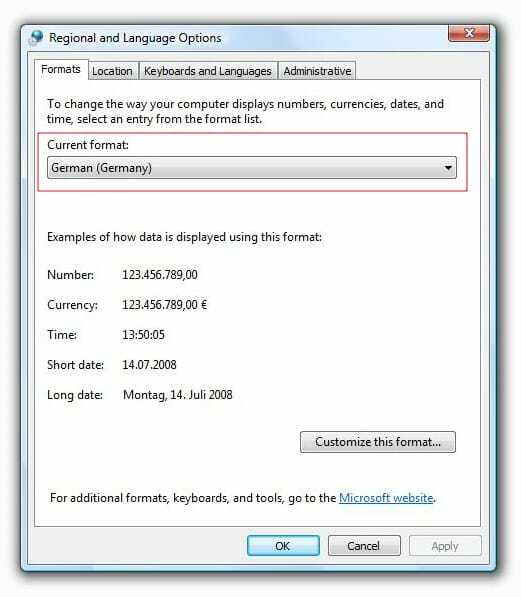 For example, if you want to set the application language to german rename the de.mo to en.mo. Close all the windows and launch the application. Note: On step 4, if you are not sure of what you are doing perhaps it would be a good idea to drop the file to your desktop rather than to the trash. 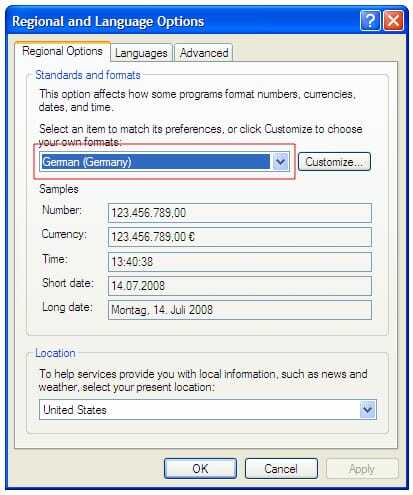 1 Select the application you want to change the language of. 2 Right-click your mouse or press the command key and click on the icon. 3 Select the Show Package Contents menu. 4 Open theContents folder and then the Resources folder. Rename the resource folder of the language you want to use to the name of the resource folder of the system default language. For example, if you want to set the application language to german rename the de.lproj to en.lproj. 7 Close all the package windows and launch the application. Note: On step 5, if you are not sure of what you are doing perhaps it would be a good idea to drop the file to your desktop rather than to the trash.